Welcome to the Essentials by Ellen Blog Hop! We’re so excited to unveil a brand new line of high quality Clear Stamp Sets and Designer Dies, designed by Julie Ebersole exclusively for Ellen Hutson LLC. This collection reflects an eclectic mix of images, sentiments and art styles that are sure to appeal to a wide range of tastes! Just in time for holiday crafting, the entire release is available now at Ellen Hutson LLC. To get this look, I stamped my leaves onto a vellum panel with gold embossing powder. The panel is glued to the card front under the solid leaves and under the sentiment strip. Then I colored in the open leaves with some Copics. I stamped the sentiment using a mix of gold ink and deep red. So fall-ish! This next card uses the Twelve Days set! Can I just say that I love Julie's style of illustrating? It's fun and whimsical just like her;) The images from Twelve Days are perfect for creating a chalkboard card. Over the stamped background, I wrapped a vellum strip and added a die cut sentiment in holiday red! The word dies are from the new dies set, Merry and Bright. Behind the Zipper Die flap on the card front, I created a winter scene using the Home and Hearth dies and the sentiment from the coordinating Home and Hearth stamp set. I went a little crazy with the glitter and sequins inside the shaker, but I can't seem to help myself, lol! Last but not least, I made a card using the Tis the Season stamp set. This set is so Julie, and I love it! Really fun images and the cheeky sentiments to match. Speaking of cheeky, I used a combination of stamps from Tis the Season and Merry & Bright to create a bevy of ugly Christmas sweaters:) After embellishing my sweaters (which was so much fun by the way), I fussy cut them and added them to a white panel. Here's a little close up look at the sweaters and that perfect sentiment. Isn't this a fun set? I'm happy to say that I have one of these Tis the Season sets to give away! Just leave a comment on my blog by October 8th, and the lucky winner will be announced on October 9th! On top of the giveaway on my blog, there is a GIANT prize package being given away from all the stops of the hop! The fun begins at the CLASSroom! Be sure to leave a comment there by October 8th. Winners will be announced October 9th! Thanks so much to Ellen and Julie for asking me to participate in this blog hop:) And thanks to you too for stopping in! Enjoy and happy World Card-making Day! These are soooo great! Love the elegance of the TDay card and the chuckles of the sweater card. This is such a great release and you've showcased it beautifully. Thanks! Love what you did with everything. The sweater card is super cute! Happy WCMD!!! Gorgeous cards!! The autumn card is my favorite! You are so creative. Love what you did with the sweaters and the stitched zipper card!!! Amazing cards!!! Very creative and adorable! Great cards. I love what you did with the zip card! Happy WCMD!!! Love your creative cards, JJ!!! Great cards love the ornate leaves on the first one, and the sweaters are so cute. Thanks for sharing your work with us. I love this whole release, but that zipper die is the best! I love how you made a shaker card with it! you are a rock star! I love, love, love that shaker especially! So fun!!! Love the Thanksgiving card - the gold embossing on the vellum really pops! the sweaters are way cute! Fabulous cards with amazing detail and color! Love the "ugly" sweaters!! The leaf card is so beautiful! Love your cards, so much fun! JJ the inside of the zipper card is brilliant!!! Oh my goodness girl... You are off the charts amazing with talent!! Oh my.. What darling and beautiful cards!! Love the cards. The inside of the zipper card is unexpected and the sweater weather card is great! wow so love fall and the colors great use of all the items zipper card idea was very fun! Beautiful cards, JJ. I especially LOVE the gold embossed leaves with the warm color Copics. It looks so rich. Love the sweater card. This is my first time on your blog. You are very talented. I'll visit often. Gorgeous cards. Love the leaves and also how you did the inside of the zipper die, that was ingenius. I love the shaker card. What a great idea. Beautiful cards and fun sets. Thanks for sharing the zipper die. Now I know what to do with it. JJ you're a rock star! These cards are fabulous. That sweater card totally makes me LOL. Love the simplicity of the leaves card. Perfect colors for the leaves. Also love the background you created for the Peace Joy Love card. I need to plan a day to play! I always find your cards so innovative. Love Jule and ellen's new release! My favorite is the simply elegant Thanksgiving card, but I love all the others, too! Oh JJ, these are all FABulous! I absolutely LOVE your style! Having so much fun on this blog hop - thanks for your cards! I love all of your cards, JJ! What unique ways to use these awesome images and dies! Thanks for the inspiration! All these cards had me oohing and aahing! Love the shaker card idea, too! All of your cards are great...especially love the leaves in the first one. That gold leaf card is stunning! But wow loving the ugly sweater!! Makes me want top throw yet another party!!! Yes, I know these new products are awesome but, you my dear, have taken them to a totally new level. Each one of your projects is a masterpiece (and I don't say that lightly). Amazing cards. What a great ugly sweater card, such fun and love the 12 Days of Christmas card. So many fun sets and dies. JJ - wonderful examples. I really love how you used the leaves on your Thanksgiving card. Thanks for sharing. SO many cute ideas here! Loved them all but those leaves!!!! Nifty! Love the gold leaves on vellum! Assuming the entire front of card is one piece of vellum, not cutout leaves. . . The Thanksgiving card is so pretty and sparkly, Christmas sweaters is so cute. Tis the Season looks like a must have stamp set. I love the look you got with the coloring and embossing on the leaves. Oh my gosh! I am in love with all of these cards!! The gold embossed leaves are GORGEOUS!! I am also IN LOVE with this zipper die! And you somehow made the cool factor of the die by hiding a shaker card!! SAY WHAT?!?!? GENIUS!! Lovely cards! Especially love the gold leaves!! All of the cards are darling. Love the stacked sweaters and the embellished leaves. The zipper card and the 12 days are on my list of "must have". thanks for the ideas for using them. Those golden leaves are wonderful! Maholo! Love the stamp set, love what you did with it! (Love Hawaii too). your cards are so cute! I am in love with the first one, the golden leaves down the edge are perfect!! Love the golden/ reddish leaves! Tis the Season is such a cute set! I love your ugly sweater card! It's great! Great cards! The gold leaves are awesome! Thanks for sharing! These are fabulous cards! I love the sweaters. Cool idea making the zipper die a shaker card. Oh my gosh! 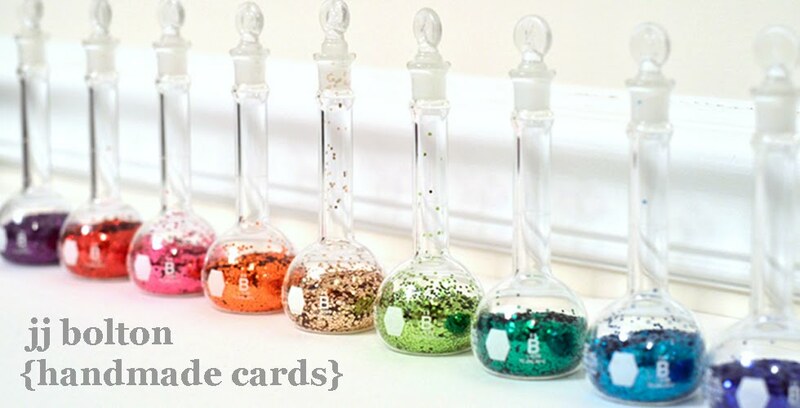 Your cards are just fabulous - especially love the shaker you created with the zip die. Wow! I love these! My favorite is the gold embossed vellum leaves...or maybe the one with the Zipper die...oh, I love them all. Thanks for the opportunity! I love the autumn leaves you created! Oh WOW, your cards are creative and wonderful and humorous just like Julies's stamps and dies. Love these samples. Love these! The gold is stunning with the acorns! These cards are so sweet. Snow fun! Great cards, but the leaves and the zipped shaker are just WOW!!! oh my! your cards are so fabulous!!!! I can't wait to start stamping today and then keep thinking about this new release and what I want to get........thanks!!! I LOVE your cards!! Your card with the leaves is stunning! And I really like your chalkboard card, I am gonna have to get this set! Thanks!! Oh my you're thanksgiving card is just amazing. Just adore the gold leaves. I'm totally in love with that sweather card and stamp set. Oct 8th is my birthday so I'm so hoping for some birthday luck. Thank you for sharing you're beautiful creations. Oh my... I can't figure out which is my favorite project! So much fun! I love thanksgiving and leaves, so this is a perfect card for me. Such cute cards! I love the way you used the zipper die. That zipper die cut looks like such fun! All your cards are great! Thank you for sharing them! I love every single card that you have made. But the zipper is so fun and not expected... Love it! They're all such great cards! The Thanksgiving card is really nice! Fantastic!! Your cards make me want all of those stamps! Such fabulous cards! Love how you turned the zipper die into a shaker card. I think that is just brilliant! Thanks for the chance to win! Great fun cards! Thanks for your inspiration! Such vibrant colors on your sweater card, it is my favorite! I am so impressed with all of your designs from simple to detailed, WOW. WOW!! You knocked it out of the park with your cards - they are fabulous :) You have sold me on the Tis the Season set - a must have!! And what a creative alternative for the zipper card-never would have thought of it. What great cards! I love how you turned the zipper die into a shacker card. Thank you for sharing. JJ, the gold stamped leaves on vellum colored with copies falling down the crisp white panel are beautiful to look at! The cute sweaters are adorable with the snappy quote! Oh my gosh! How cute is that card with the zipper panel! Your surprise shaker card is wonderful, JJ! I love it! love what you did with the not-so-ugly Christmas sweaters. Beautiful cards. Love the Thanksgiving one with the gold embossed leaves. The Thanksgiving card is a favorite, for sure. Thanks for the ideas. Love the sweater card and the vellum leaves are gorgeous. Thanks for a chance to win the fun stamp set! these are all kinds of fun--love your clever sweater card! Love how you used the sweater stamp to make your own 'ugly' sweaters! The golden leaves are beautiful! And your idea to turn the zipper card into a shaker is very fun. Thanks for sharing! All of your cards are lovely but my favorite is the Autumn card. It is strikingly beautiful! Thanks for sharing and the chance to win! I love the gold embossed leaves- so perfect for fall and Thanksgiving! You have provided me with some great ideas using the new release stamps. Thanks. I love all these cards! You can never add too much to a shaker card! LOL. The ugly sweater card was so cute! I was thinking the same thing when I saw the stamp set. Your cards are AMAZING as usually!! The hidden shaker is genius and I love the chalky 12 Days of Christmas! Your cards are great!!! The "ugly sweater" card made me laugh out loud!! REALLY cute...and creative!!!! LOVE this new stamp set, too!! WoW! I really like how you've done your cards--so fun and creative. Thanks so much for sharing these idea using the great new crafting goodies :) Happy WCM Day! Love your cards. You really made the new release shine. Tks. Such a great variety of card styles. Lots of great inspiration! Wow such beautiful cards. I love the leaves and your use of blues. Love your cards especially the sweater cards and the Thanksgiving card. Fabulous! Love the sweater card, just too cute! This is one awesome release! So happy for Ellen, Julie and the team, I am in love with your Thanksgiving card! Gorgeous! All I can say is WOW! Loved all your techniques...you are awesome! GORGEOUS cards! My faves are the Thanksgiving card and the sweater cards. Thanks for sharing, and thanks for the chance to win! Fun cards - love the embossed leaves. Great release! Excited for Julie and Ellen! What wonderful cards. That shaker card is amazing! The sweaters are really homely, congratulations:) Thank you for sharing. Fabulous cards! You showcased the new products SO well! The card with the gold leaves is so classy. I liked all of the cards and of course, the ugly sweaters is a riot. loved the 12 days of Christmas card. Your cards are really beautiful. . .
You are so talented...that zipper card is amazing!! I am so inspired! Love the gold leaves and the sweater card, but they are all fantastic!! Happy WCDM! That sweater card is adorable. Wonderful! This whole release is full of great stuff!! Oh my gosh! All your cards are so great!!! Love your thanksgiving card and the sweater card the best...lots of color!! Your cards are wonderful. The sweater card really made me giggle. I loved your card with the leaves. I also loved the hidden shaker card, quite the unique idea! Your sweater card is just so cute and reminds me of getting out my sweaters as it is getting cooler here. Love all of the ideas you showed. The chalkboard card and shaker card are by far my favorites in the hop! I just love all the looks you can get out of one set. This is a fantastic set - keeping my fingers crossed for a chance to win. Love this new set it is so Julie. Your cards show it off great! All of your cards are amazing...full of color and sparkle! Love the cards that you made - so much fun!! I especially love what you did with the sweaters -- too funny!! Great job on a fantastic release! Love what you did with the pocket die! So cool. Also especially in love with those colorful sweaters. Thank you. Loving all the new releases, the tacky sweaters are too fun!! Fabulous cards - I especially love the gorgeous leaves. And the 'ugly sweater' card made me laugh - I actually own a sweater that I have kept for years that is sure to win any Ugly Christmas Sweater Contest. LOL! Thank you for sharing your creativity and for making me laugh. :) Congrats to Ellen and Julie! Love the chalk 12 days of Christmas. it really makes them stand out. Beautiful cards, I love the new sets! Your cards are gorgeous, JJ! I want all these stamps and dies now. Wonderful, especially the zipper card. I love the top panel with the lovely blending and water drops and the great scene underneath. The leaves on your card are so beautiful, but my favorite of these is the sweater card. Love all of those holiday sweaters! Thanks for the inspiration. Gorgeous and fun cards! Love them. Happy WCMD! Wow, the leaves are stunning! Great release! I just love your cards---the 12 Days of Christmas on the "chalkboard" is just inspired! And your gold leaves are fabulous! I'd love to win this set of stamps! Love your Thanksgiving card - actually love all of them! Thanks for sharing! Great cards, the golden leaves look beautiful!! Fabulous cards. Love the elegance of the falling leaves. woweee... your cards are GORGEOUS!! Beautiful cards! I especially love the effect on the leaves in the first card. OOOOOH MY all your cards are sooooooooo beautiful. Oh my gosh so fabulous!!! JJ...another set of exquisite cards! All so interesting and unique that I love them all. The ugly sweaters did make me LOL! Wow, what stunning cards!! Love the beautiful gold in the first, and the winter scene is too cool! Amazing cards, I love everyone. Love the 12 days of Christmas card! 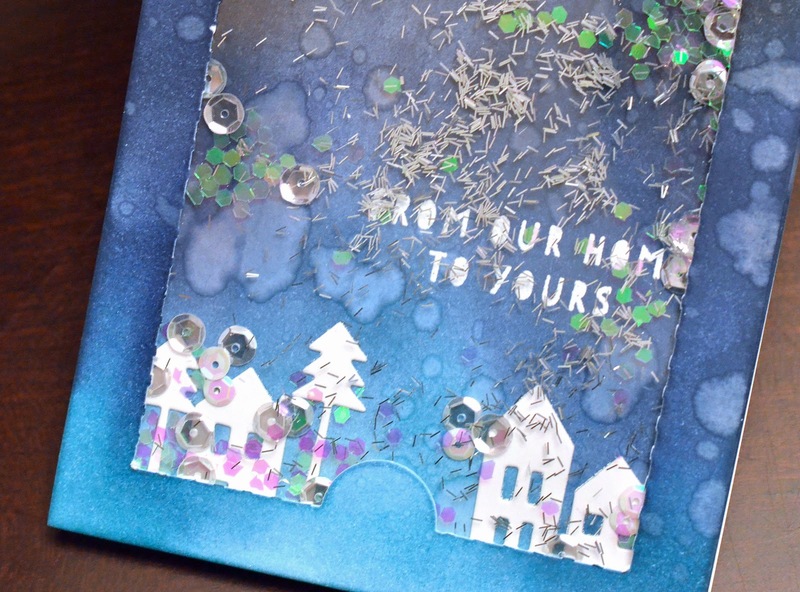 I'm drooling over your chalkboard card and the winter sky card! Absolutely gorgeous!! LOVE all the new releases! Your sweater card is a scream. Sooo cute. Love the fall card too. Love your interpretation on all the sets! From elegant to quirky to sparkly to cute as a button! These are great cards! Love the Christmas sweater one and the shaker/zipper card is a fabulous idea! I also LOVE the simplicity and beauty of the Thanksgiving card. Thanks for your wonderful examples and the opportunity to win " 'tis the season". Great cards love them, the leaves arebso beautiful and the distressed background. Great inspiration - time to get started on those cards! Wow I love each and every one of your creations!! The leaves are very, very stunning. WOW. The sweaters are very cute. Love them. I love your whimsical cards, but my favorite is the stunning Thanksgiving card. Love the simplicity of your cards. They are gorgeous. I especially like the gold leaves and the 12 days in the background! The gold leaves are soooo beautiful! loved your cards.. the sweaters made me laugh. Your fall card is soo beautiful. I love the leaves die and they are pretty enough that you don't need a lot of embellishments. Your sweater card is adorable too. Thanks for sharing with us. Such beautiful work JJ, but but it doesn't matter who makes the stamps, you always wow us! I am more excited for this release than any other all season. Julie and EH worked some great magic in this premier release! J J, your Thanksgiving card is so elegant and simple, and the sweaters card is too much fun. Thanks for sharing your ideas and for the chance to win stamps. Great cards JJ! I just love the sense of humor in these products! Great cards. I love those ugly sweaters. So much fun. So dang cute! I love your sweater card, and the golden leaves are simply stunning! Your cards are amazing! Joined your blog!! Love the Thanksgiving card; the leaves are so beautiful!! This is a fabulous release; hard to pick a favorite from it!! Love the cards, very pretty! I like how you used the 12 days in the background on the Merry Christmas card, loved the sweaters and the leaves too! Nice job, great release! Ack! I love these JJ!!! Those vellum embossed leaves are gorgeous and I love all the stuff in the shaker, and love how you decorated those sweaters! I adore every one of your cards!